National Jurist -- March 2015. "U.S. graduate law degrees for foreign-trained lawyers". Read this National Jurist article of 19 November 2014. LLM 23 great LLM application Tips! Click here to purchase LL.M. Roadmap. Also see Amazon and other links below. George E. Edwards is The C.M. Gray Professor of Law & Faculty Director, Program in International Human Rights Law at Indiana University Robert H. McKinney School of Law. He is a graduate of Harvard Law School. U.S. Master of Laws (LL.M.) programs. It helps while you apply, during your LL.M. year & after you graduate. Find the Best LLM Program For You! Click for US LLM Program Click Map! "I regret that LL.M. Roadmap was not available when I was Director of Admissions of Harvard’s LL.M. Program. I would have recommended it to every recruit and admitted student who passed through Harvard's doors. I recommend LL.M. 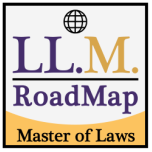 Roadmap now to anyone, anywhere in the world, thinking about undertaking the LL.M. It’s a fabulously helpful text!" Bar Exams for LL.M. Graduates? Join a U.S. Bar - With or Without a Bar Exam! The Easiest U.S. Bar Exams for LL.M. Graduates? Lawyers? The U.S. Department of State supports 450 EducationUSA Advising Centers in 200 countries to help you come to the US for your LL.M., J.D., S.J.D. or other law degree. These Advising Centers are located at U.S. Embassies, Consulates, Fulbright offices and elsewhere. Click here to find an Advising Center in your home country or region. EducationUSA advises throughout your process, including on your student visa. They have libraries, seminars & counseling. The US offers international students scholarships. See Do You Want to Study in the US? There are 450 Advising Centers in 170 countries! Visit a Center near you. US Education Advisors are always willing to assist you! Rights of LGBT LL.M. students in the U.S.
2-Year JD or 1-year LLM - Which to do? Both? New Career Guide for LL.M. Students! Will LL.M. Roadmap Author Visit Your City or Country Soon? Check here for details! Info on LLM scholarships, bar exams, firms that hire LL.M. grads, jobs! Insert your e-mail address below.